I did it. At 29 years old, I finally finished all of the books in the Little House on the Prairie series. In a way, it doesn't seem right to review these two particular books together. Even their titles seem to reflect how different they are: These Happy Golden Years (warm, pleasant, joyful); The First Four Years (bleak, unembellished, factual). These Happy Golden Years recounts Laura's experiences teaching school and being courted by Almanzo Wilder. Every time Almanzo pulled up to the house in his cutter or had to circle the yard because Barnum was too feisty to stop or sang with Laura on the drive home from Singing School, I smiled. I absolutely loved the chapter where Nellie Oleson hijacked the outings, and Laura gave Almanzo the clear ultimatum that he would have to choose between her or Nellie, and poor Almanzo was just clueless why it was even a problem because he was just letting Nellie come along to be nice and not because he had any intention of courting her. It was also nice to see Pa prospering and being able to afford such luxuries as an organ and a sewing machine. I loved Mary's visits home from school and seeing how accomplished and confident she became. 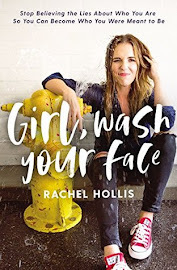 In every way, this book felt like it should be the final installment in the series. And that is why The First Four Years just felt wrong to me. When Laura and Manly get married, Laura agrees to try farming for three years. They experience hailstorms, drought, diphtheria and debt. They think their luck will surely take a turn for the better during the fourth year, but it is even worse: the death of their baby boy, a fire, not being able to prove up on the tree claim, etc. And while all these things are going on, Pa and Ma, Mary, Carrie, and Grace are glaringly absent. Laura goes home a couple of times, but those visits receive only a brief mention without any of Pa's optimism, Ma's wisdom, or Mary's friendship. I wondered how the hailstorm affected Pa's crops, whether or not Mary moved back home, what Ma said to comfort Laura, but it's almost like she's been abandoned. 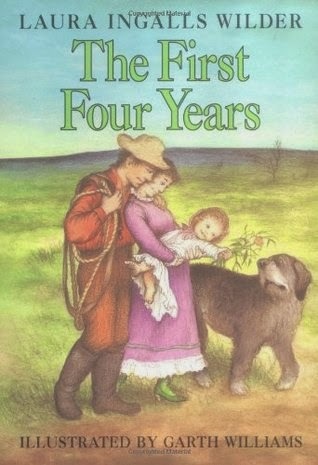 I'm sure there's been much written about whether or not The First Four Years should have ever been published, but my own opinion is that it should not. 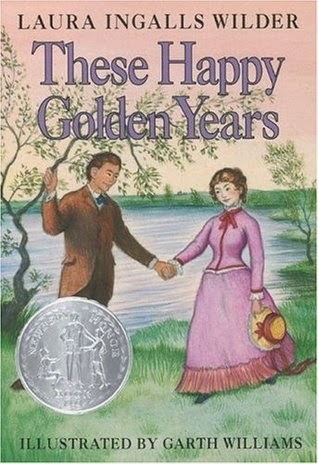 These Happy Golden Years was published in 1943; The First Four Years was published posthumously in 1971. Laura didn't pass away until 1957, so there was plenty of time for it to be published in her lifetime (since the manuscript appears to be from around 1940). She had already written eight successful novels. If she had wanted it published, it would have been published. It's not that I have to have a happy ending or that I can't handle reading about hardships or the injustice that sometimes is life. But it makes me angry that Laura didn't get to choose whether or not she wanted to share those experiences with the world. And also that when it was published, they decided to tack it onto the end of a series that was already complete and beautiful as it was. The one and only reason I'm happy it was published is it's nice to see what Laura's writing was like without any editing from her daughter. But in any case, it doesn't seem like it should have been published as part of the original series. It leads the reader to think it was always meant to go with the other books, and it wasn't. 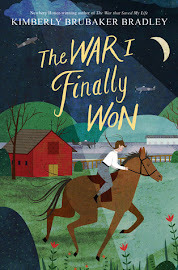 But despite my strong feelings about the final book, I absolutely loved this series as a whole, with some of the books (Farmer Boy, The Long Winter, Little Town on the Prairie) taking up special residence in my heart. It's crazy how often I think about them during the day (particularly when I'm doing laundry and wishing we only had three outfits per person). I fully expect to enjoy them many more times over the rest of my life. Tell me about your feelings towards the books. What do you think about The First Four Years? Which one is your favorite book? The long winter & farmer boy were my favorites as well as these happy golden years. Its hard to choose 1. I have a couple books written by someone else- the rocky ridge book & one where she went out west on a trip with rose. They are more journally & similar to the first four years. It is sad to see that her adult life wasn't as pleasant as childhood, though attitude is a lot of it bcuz she didn't have an easy childhood either. I adore the Little House books. On the Banks of Plum Creek was always my favorite as a kid. (Growing up in Kansas, it seems the teachers read these to us every year, and I know I read them on my own, too.) I also have a special place in my heart for "the Kansas book," Little House on the Prairie. Rose didn't have a lot to do with the editing of that one, either - she was writing her own book at the time - and it has a haunted quality to it. We listened to the audio book on our way to visit both the homestead museum in Independence and Rocky Ridge Farm in Mansfield, MO two years ago, and enjoyed it as a family. Of the later books, I love The Long Winter and Little Town on the Prairie. I never cared for The First Four Years, either. Reading about how hard that period in her life was, it's sad to know that as bleak as that book was, she actually left some of the heartaches out. I absolutely LOVED this series, Amy! I have my mom's first edition copies which are just beautiful. (Except FARMER BOY - she didn't have that one.) My favorites were different at different times in my life. I have always had a special place in my heart for the very first one, LITTLE HOUSE IN THE BIG WOODS. When I was younger, ON THE BANKS OF PLUM CREEK was also a favorite. As I got older, I loved THESE HAPPY GOLDEN YEARS the most. 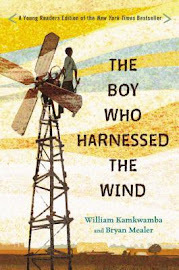 And when I finally read FARMER BOY that became a huge favorite. I never really thought about THE FIRST FOUR YEARS. I did read it, of course, but interestingly enough, I've only read it once, whereas I've read all the others many, many times. Maybe I was picking up all the things you mentioned without realizing or articulating. I really love them all. The only other one I haven't read multiple times is BY THE SHORES OF SILVER LAKE - I've only read that one twice. But I read the first four to all of my kids and they loved them too. I think only one of my daughters finished the series though. Oh, wow, so jealous of your first editions! I'm surprised I'm not more sentimental about Little House in the Big Woods since it's the only one my mom read to me. Such a good series overall!